Dive into the healing art of foot and hand reflexology, with this complete guide that includes essential information on how tapping into this ancient practice can improve blood circulation, fight depression, help you relax, promote better sleep, aide in digestion, and relieve body pains. Reflexology is a type of massage used to release emotional, physical, and mental pain through the hands and feet. In The Healing Power of Reflexology, you will learn the basics of reflexology, how to find the trigger points, the history of this practice, and how the right touch can lead to a life of happiness and balance. Reflexology has been proven has been to reduce stress, promote healing, and enhance quality of life. Now you can master the ancient healing power of reflexology and improve your overall well-being and outlook on life. 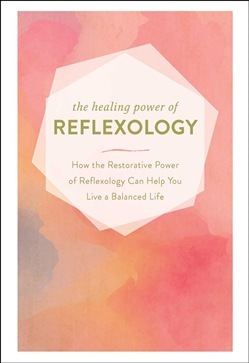 Acquista The Healing Power of Reflexology in Epub: dopo aver letto l’ebook The Healing Power of Reflexology di Adams Media ti invitiamo a lasciarci una Recensione qui sotto: sarà utile agli utenti che non abbiano ancora letto questo libro e che vogliano avere delle opinioni altrui. L’opinione su di un libro è molto soggettiva e per questo leggere eventuali recensioni negative non ci dovrà frenare dall’acquisto, anzi dovrà spingerci ad acquistare il libro in fretta per poter dire la nostra ed eventualmente smentire quanto commentato da altri, contribuendo ad arricchire più possibile i commenti e dare sempre più spunti di confronto al pubblico online.